Resorts World Genting reputation for entertainment is matched only by it’s commitment to deliver exceptional dining experiences and one such place that has long stood at the epicentre of the mountain top city’s food and beverage operations is The Olive. 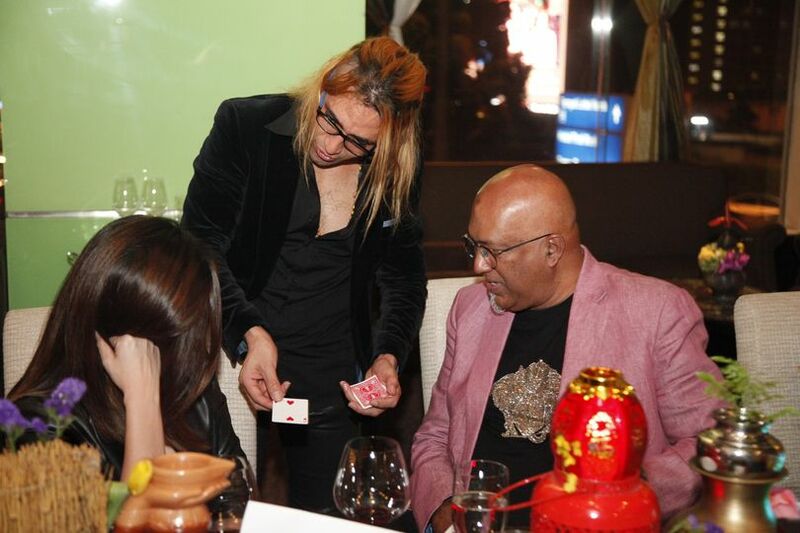 The ‘Grand Old Dame’ of Genting has been drawing diners for over two decades, with a fine dining experience that equals any Michelin starred outlet. Guests come for the uplifted contemporary classics, often deconstructed and reimagined by the stellar kitchen team, and stay for the professional and personalised service that anticipates every need. 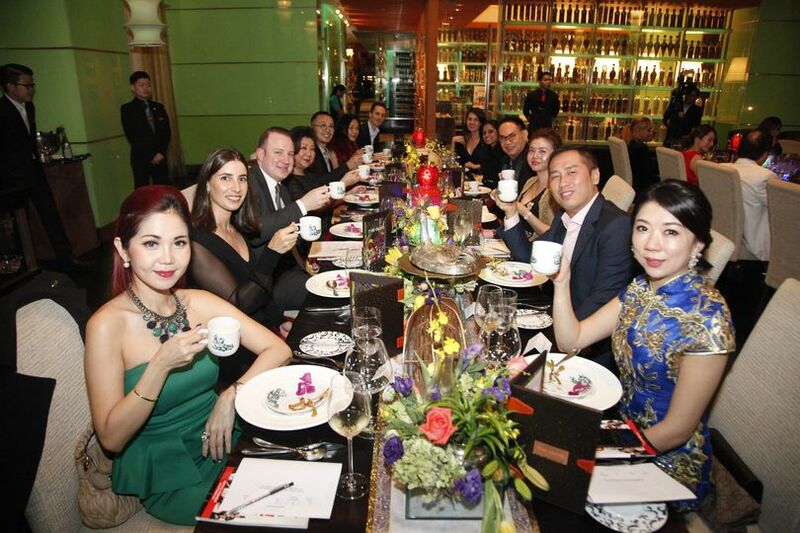 The restaurant is also home to what is arguably Malaysia’s most impressive wine cellar, a vault of vintages containing prized bottles from the four corners, curated by one of the country’s leading sommeliers. 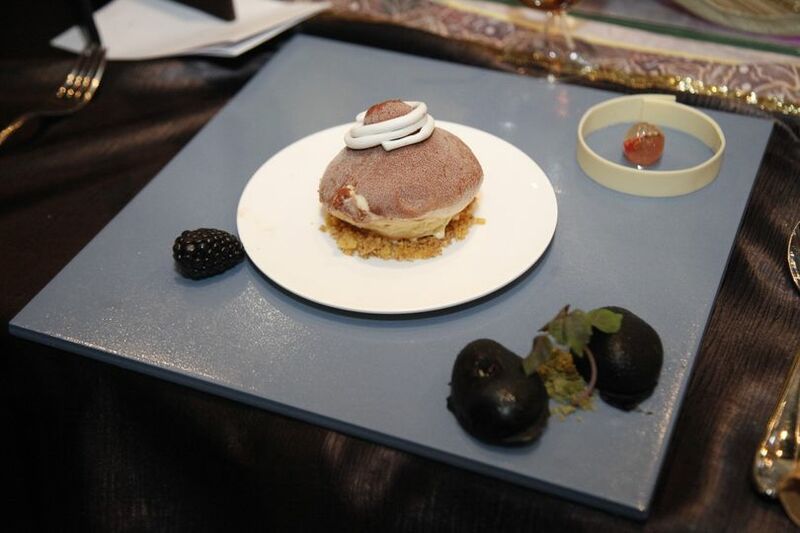 It’s to this stronghold of fine dining that diners recently gathered to taste the MIGF menu of Chef Mohd Radzuan Hamzah, who has been working in The Olive kitchens since its inception. 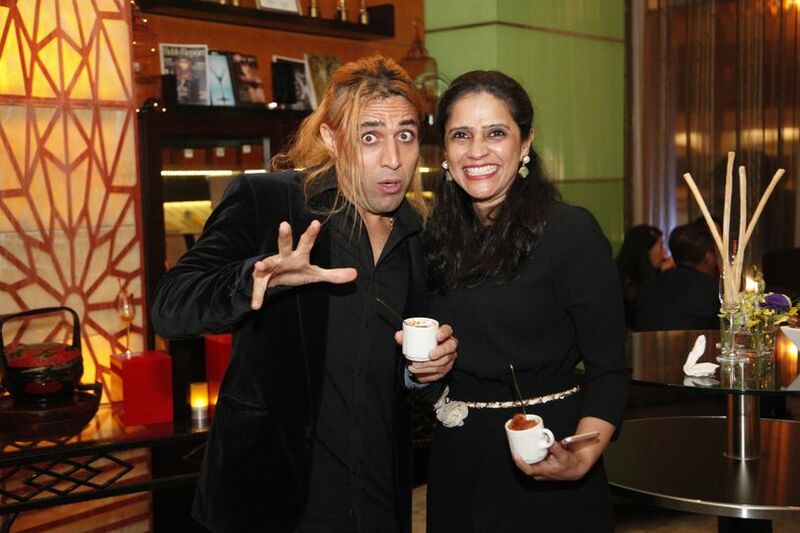 Under his guidance it has won the Golden Cauldron for Best All Around Restaurant multiple times and continues to collect accolades which are on show around the premises. 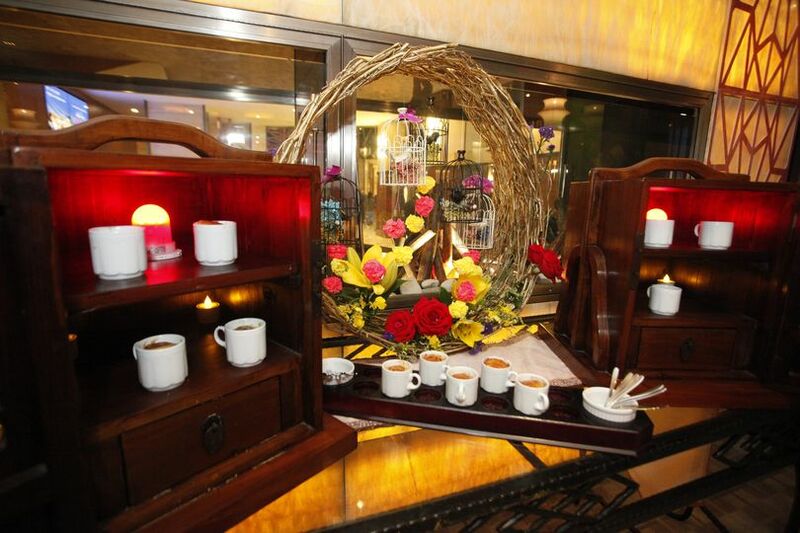 As guests arrived at the olive-hued entrance, they were led to the plush lounge area which had been transformed for the evening to match the festival’s muhibah theme. 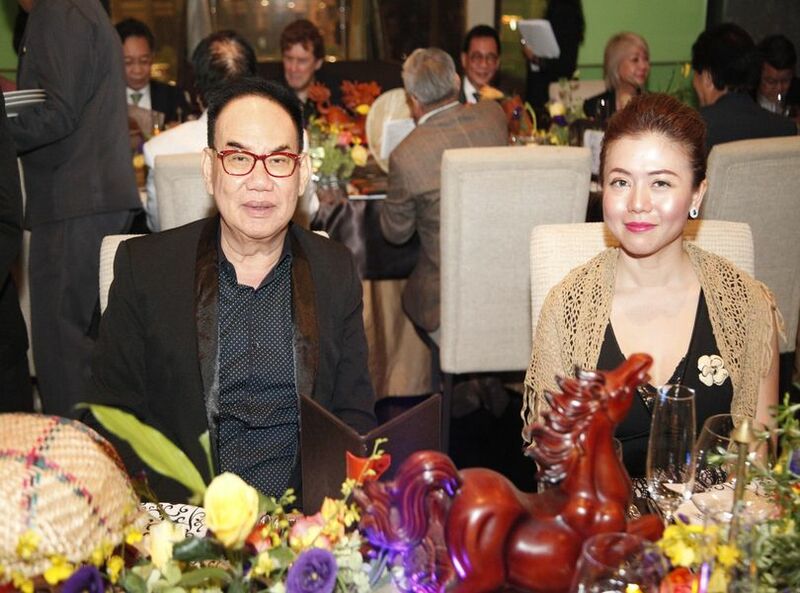 Among those attending were Pantai Hospital Cardiologist Tan Sri Datuk Dr Ridzwan Bin Abu Bakar, Festival Advisory Committee member Chef Wan, A Cut Above Group of Salons and Academy Managing Director Dato’ Richard Teo and Empro Cosmetics Founder and CEO Professor Dr CocoAlex Yeoh. 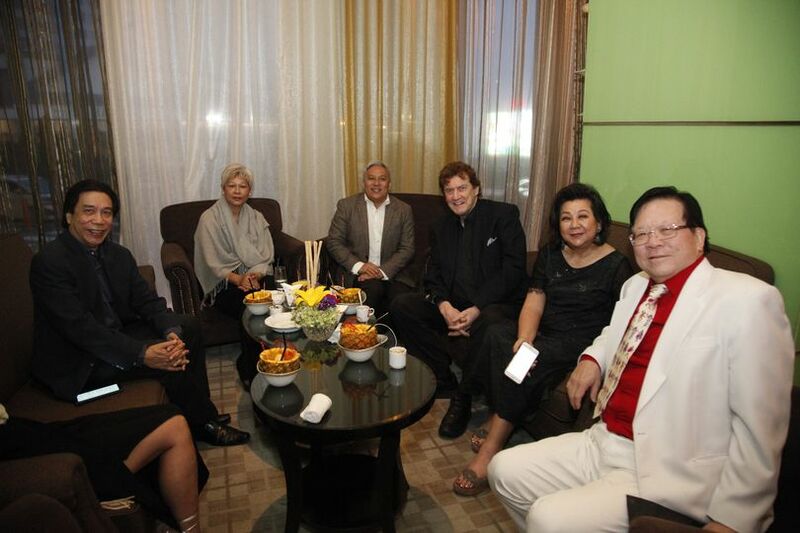 MIGF Organising Chairman Dato’ Steve Day was there to welcome guests as they came in, each one taken aback by the elaborate centre showpiece of the lounge, decorated with traditional Malaysian items. 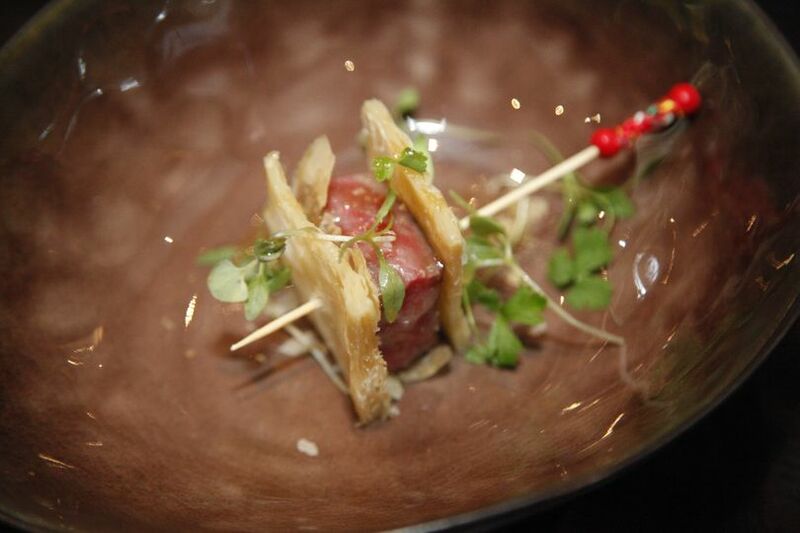 Laden also with canapés of prawn cocktail shooters, beef bourgignon brioche and fried risotto, these teased palates with bright flavours. 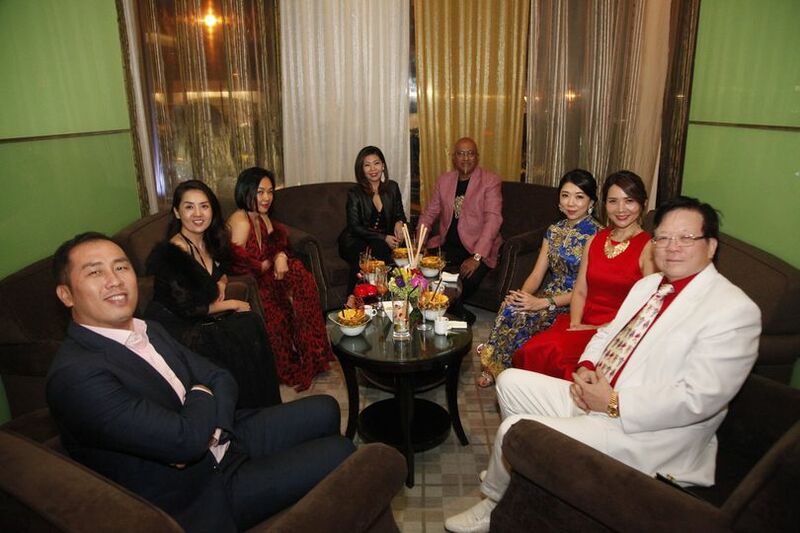 Following introductions by Dato’ Steve, the group moved from the lounge to the dining room where they were greeted by two extravagantly decorated tables that drew eyes up and down their lengths. Enveloped by lilies, hydrangea, ginger flowers, forget-me-nots, tulips and fragrant herbs were local crafts, including traditional fish traps and pewter pots. 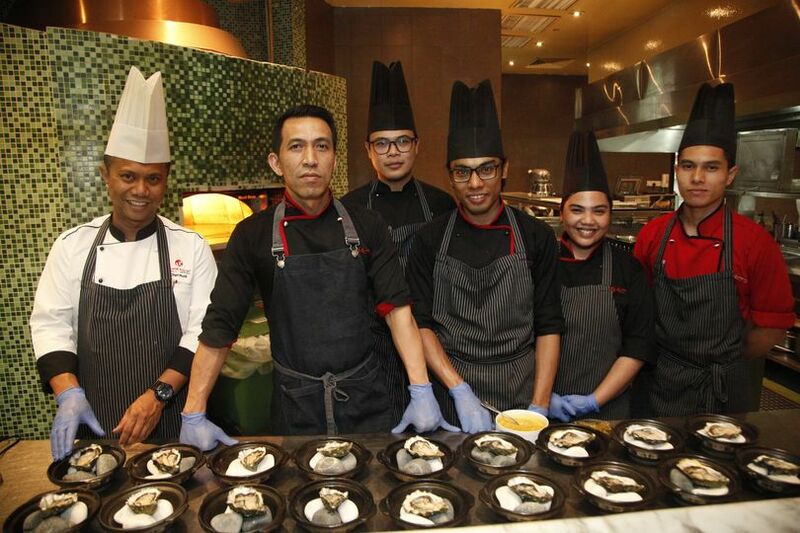 No sooner had guests settled into their seats, Chef Radzuan fired off the first course which plunged diners into the ocean with fresh oyster. Lightly cured with salted egg yolk and garnished with diced jalapeno pepper, the sweet mollusc disappeared from plates in minutes. The Olive is the first official restaurant in Malaysia to serve the world’s highest grade Miyazaki A5 Wagyu – Nakanishi premium Wagyu – from Nishinoharu Farm in Japan. 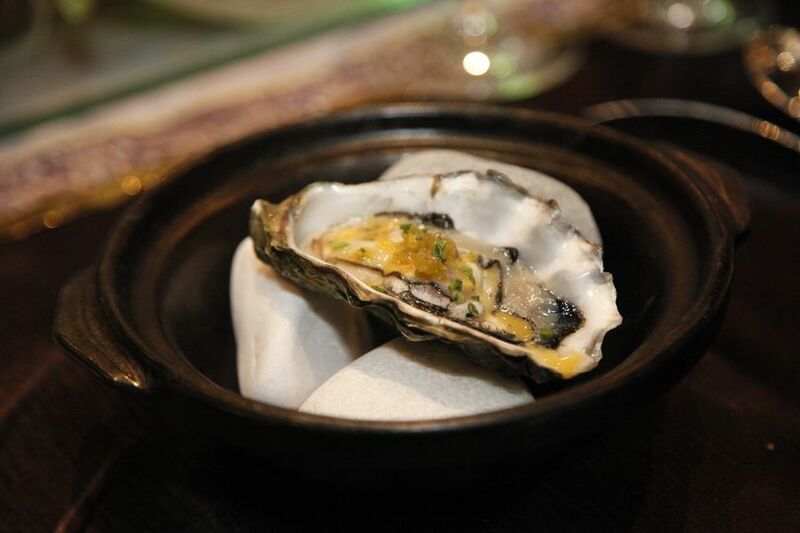 This luxury delicacy is unpretentiously delicious, velvety in texture and buttery soft. Chef Radzuan sandwiches the cube between two delicate pieces of puff pastry and adds a touch of honey mustard to complete the ensemble. An exquisite flight of wines came with each course, Sommelier Kevin Yee explaining each choice and what guests should note when tasting each one. 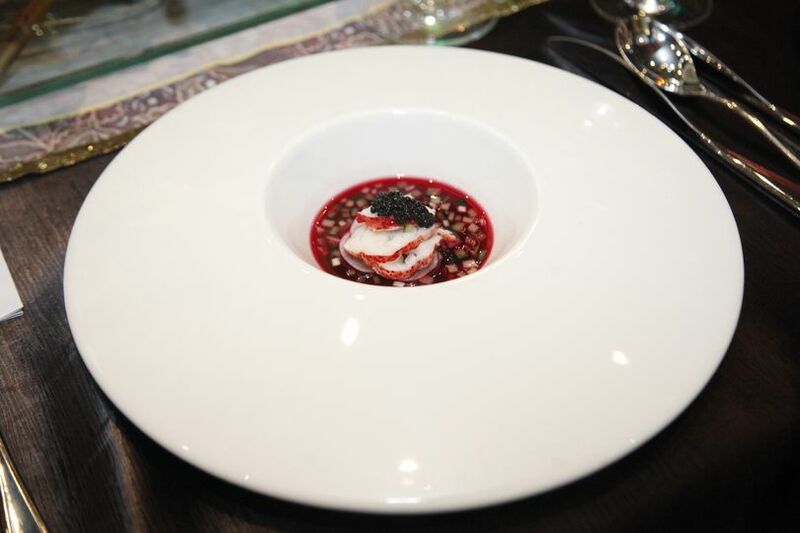 Another seafood delicacy appeared from the kitchen in the form of poached lobster on a bed of seaweed sauce, red currant and topped with smoked herring caviar. Sweet, salty and savoury, the balanced dish was much loved. 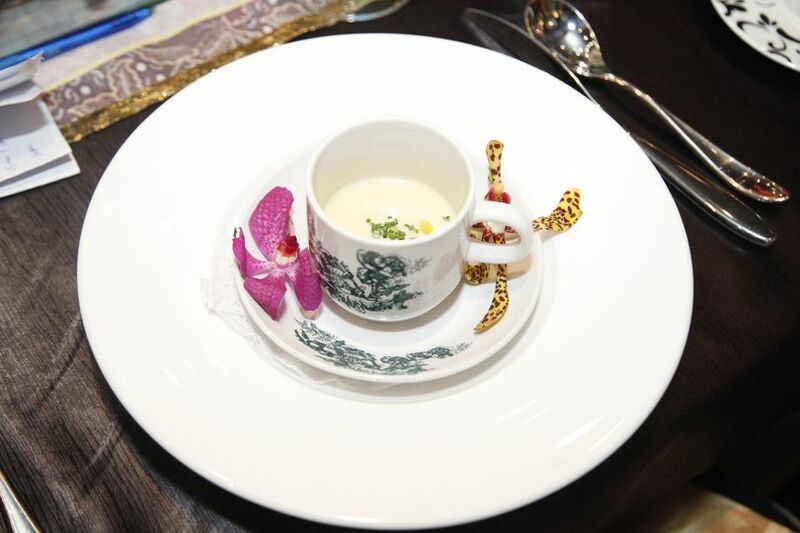 On its heels came the beautifully rich garlic soup, creatively served in old-style kopitiam crockery that harkened back to bygone days. Equally as nostalgic and fun was the surprise palate cleanser: a lemon sorbet served in the ais krim potong style, which guests had to squeeze out of little plastic tubes. 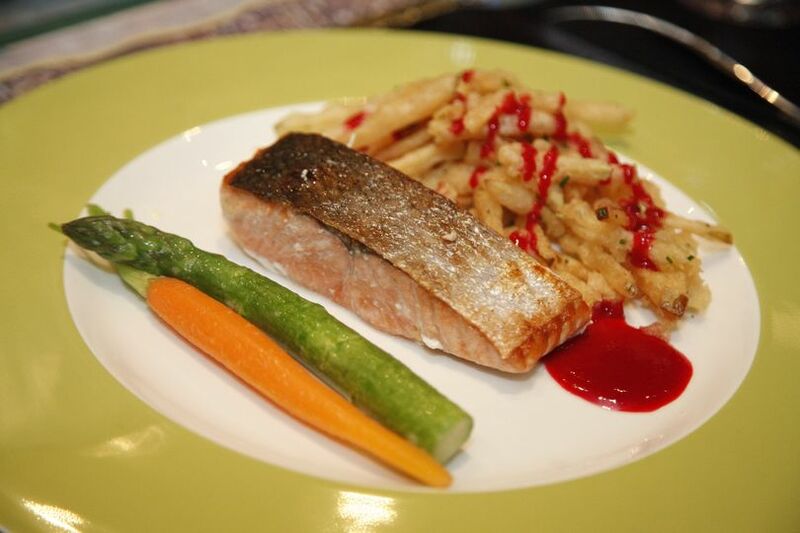 This led straight into the Scottish salmon served with apple chips and raspberry lemon glaze. The unique cooking technique the salmon undergoes sees the fillet placed in a mould over which hot ginger-infused beeswax is poured. 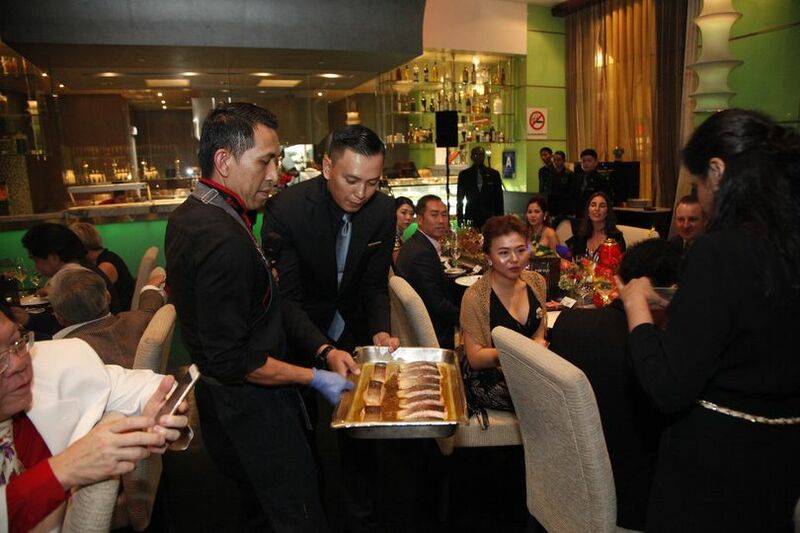 When hardened, the mould is removed to reveal a perfectly cooked fish – a technique which Chef Radzuan demonstrated for guests. Finally came the sweet ending – a hazelnut financier with chocolate chip, soft cremeux and vanilla soft caramel. A traditional French dessert, the financier is buttery, light and moist – here it came encased in a rich, icy caramel to produce a sinful combination. Paired with an 18 year-old Armagnac, it proved a winner with the entire group. 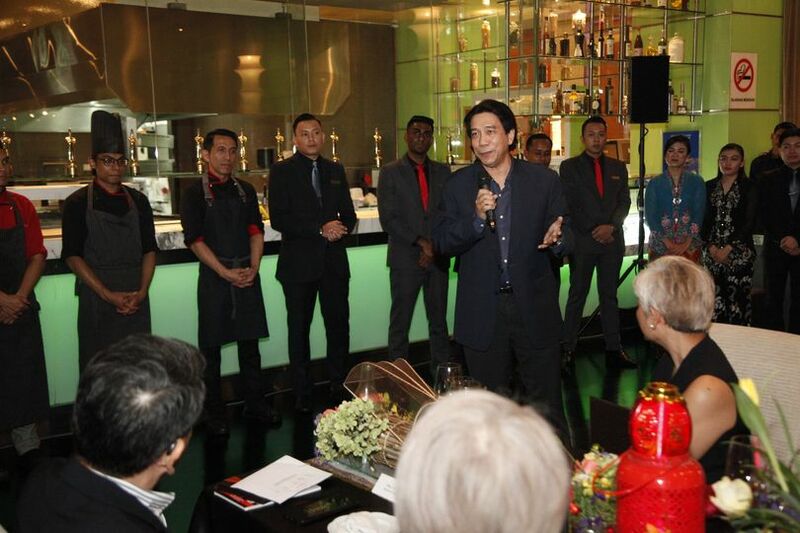 Wrapping up the dinner with restaurant and kitchen teams gathered in front of diners, Tan Sri Dr. Ridzwan gave a glowing review of the dinner, highlighting the remarkably smooth flow of service and teamwork between the front and back of house. 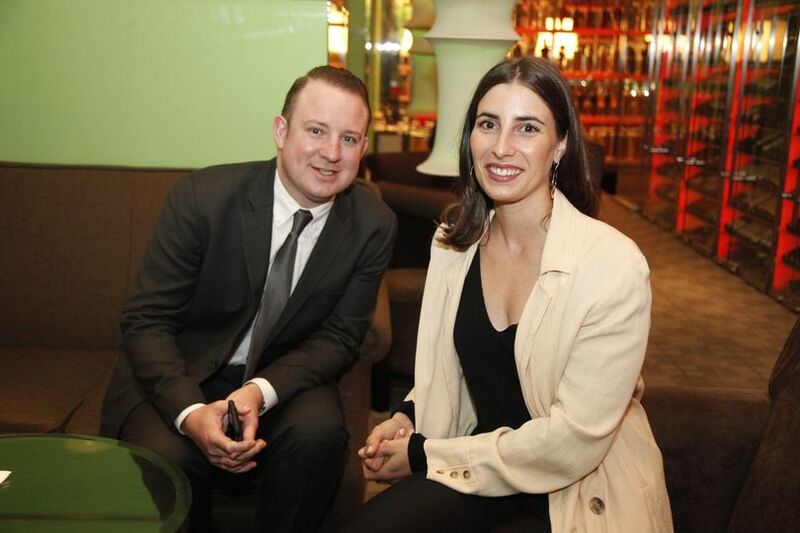 “The Olive never disappoints, and this evening’s experience just proves that again,” he said. 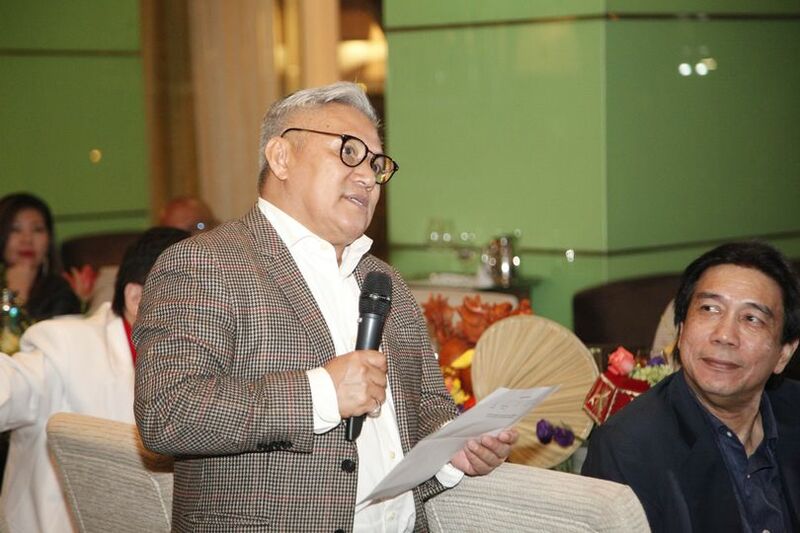 Not one to stay quiet, the effervescent Chef Wan took the floor next and gave his own food review which had the diners clapping and roaring with laughter as he spoke in his own inimitable way. 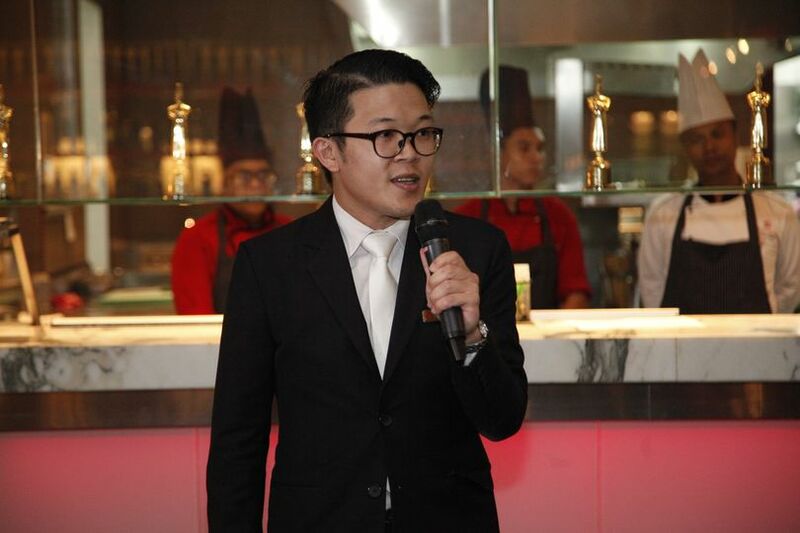 With high spirits all round ended the first of the Resorts World Genting menu reviews. Stay tuned for e18hteen Inspired Cuisine next! 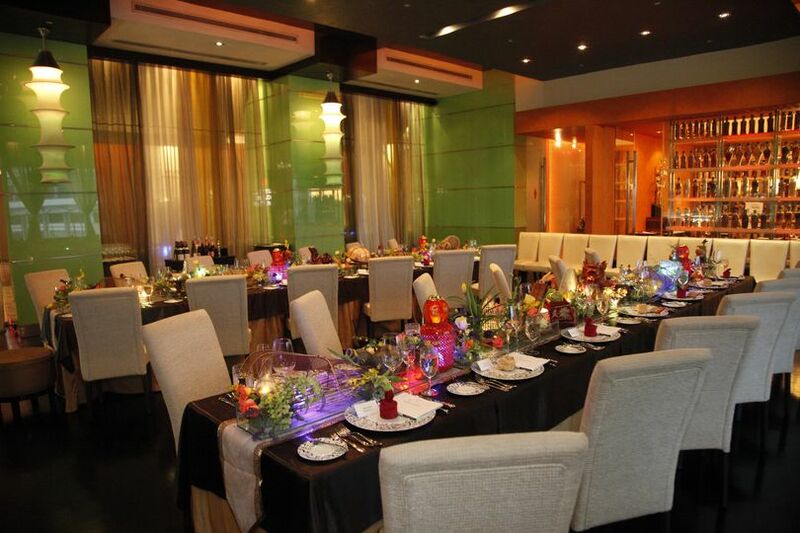 The Full Festival Menu at The Olive costs RM450 nett per person with wine and RM300 nett per person without. 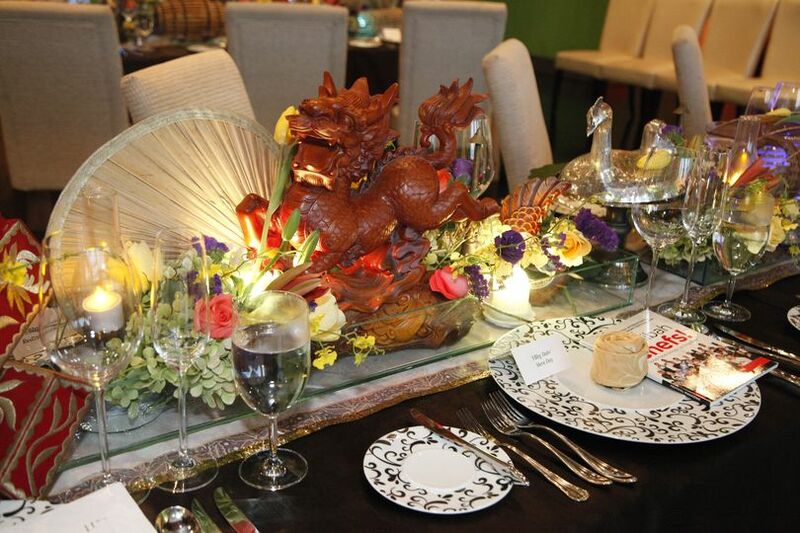 Click here to read more about the restaurant, Chef Radzuan and the Festival menu.